ESQUIMALT, BC – Lighthouse Brewing has announced details of the third annual edition of its winter seasonal series. This Oak Aged Whiskey Doppelbock is meant to bring you warmth during the long, cold and damp West Coast winter. Brewed to perfection with German Lager yeast, this malt forward beer has a deep copper colour and a rich bready backbone. 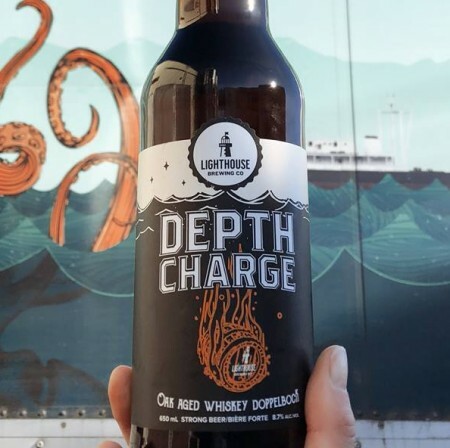 Depth Charge 2018 is available now in 650 ml bottles at Lighthouse and select liquor stores in B.C. while supplies last.